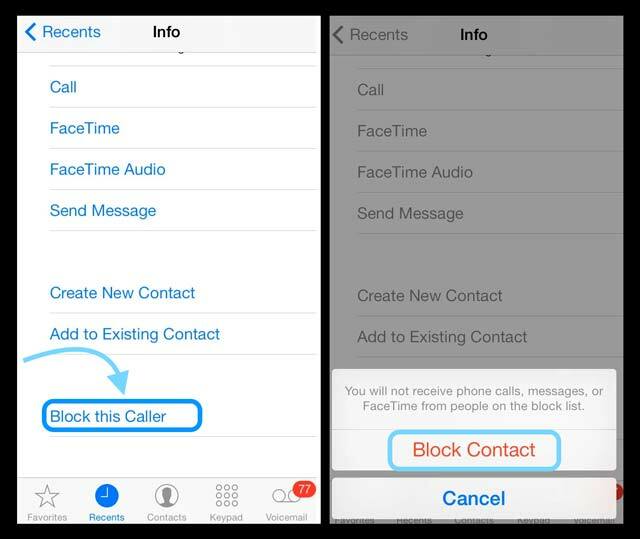 Contact blocking is a great way to keep the unwanted ones away without you having to cut off from other people. With previous iOS versions, (the ones before iOS 7) it wasn’t all that easy to block contacts on your iPhone. There was jailbreaking and other complex working involved before you could finally get rid of the unknown callers. 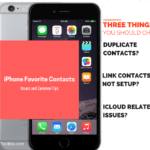 iOS for iPads, iPhones and iPad Touch all have the contact blocking feature. 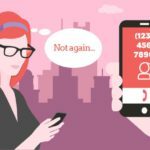 In this article, we show you how you can get rid of disturbing, unknown callers and how you block them from calling and texting to your iPhone. Not only this, we see how you can check if someone has blocked you! We now head straight to the tutorial that will allow almost any iPhone since iPhone 4S to prevent unwanted callers from calling or texting you. Even iPhone 3GS can avail this blocking mode regardless of the fact that it doesn’t use iOS 7. 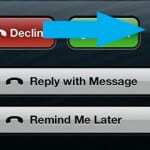 It is pretty simple to block a phone number/contact in iOS 7 and later versions. When you receive a call, and you don’t answer it, go to the Phone App and tap on the ‘recent callers’ option. 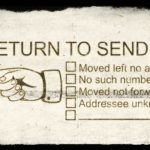 Once there, you will see an ‘i’ symbol on the right-hand side of the contacts. Tap on the symbol, and you will have multiple options whether to add the contact to your list, create a new contact, share it or send a message, etc. 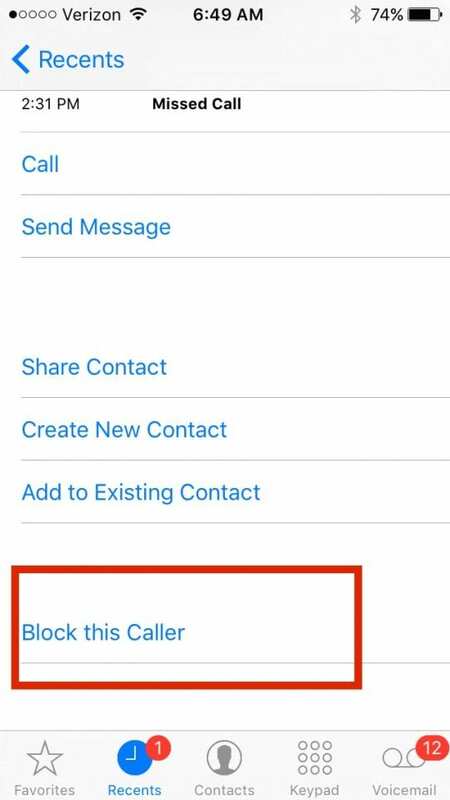 Right at the bottom, you will have the option to “Block this Caller.” Once you confirm blocking, no more worries about receiving calls, messages and face times from that contact! When you try to contact an iPhone that has blocked your number, you will hear a single tone, and then you will be diverted to record a message. However, the iPhone never rings. Neither does the person receive any alerts for the recorded message. 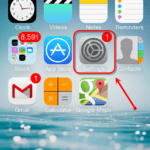 There is a special block folder in the iPhone where you will be able to find that recorded message. The method for blocking known contacts is similar to what we discussed above. However, you can block a known contact even before they try and disturb you with a call. For example, there is a really annoying friend who you want to avoid, and you have mistakenly given your contact number to them. Now, scroll down to the ‘Settings’ app, in the ‘Phone’ section, tap on the ‘Blocked’ option. Tap on ‘Add New’ and select the contact you wish to be blocked. You can add as many contacts to your block list as you like. For this technique to work, you must save the contact number in your contact list, so it is better to use for known numbers. 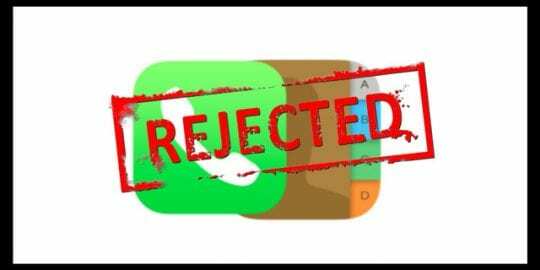 We saw how simple it is to block contact in iOS 7 and later versions. 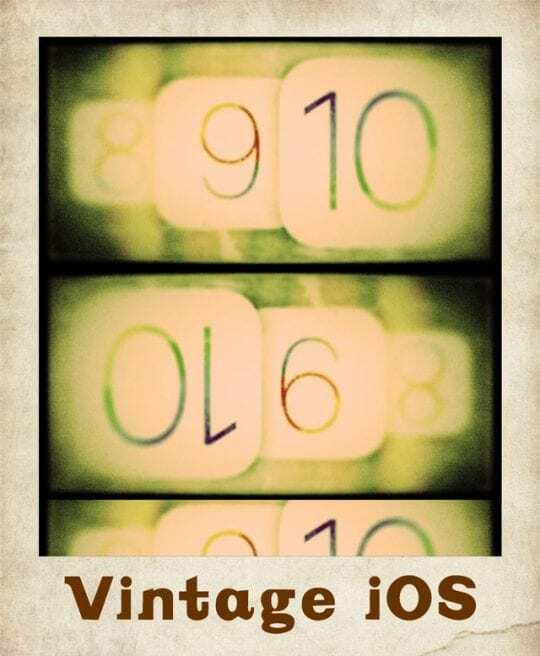 However, the technique is not as simple for iOS 6 and earlier versions. We will tell how you can block numbers in these versions as well. iPhone 4s and later versions can be updated to the latest iOS 9 version so blocking won’t be a big problem there. However, this section is purely dedicated to iPhones which are incompatible with iOS7 and its advanced versions. This process is a bit of a work around, but it’s pretty useful. 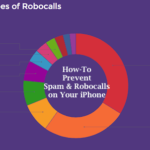 Each time you receive an unwanted call, create a new contact and in the company name section, name it anything like “Unwanted Caller” or “Scam” or whatever you like. Don’t feed any name in the names section. Each time your phone rings, you will know you don’t have to pick this call. You can even specify a ring tone for the contact. But that’s not all. You can add multiple contacts to the same contact by adding it to the existing contact. It’s not the best idea but you can still do it to block callers. Jailbreaking will allow you to access any unofficial blocking app that you can use for your iPhone. However, we recommend you not to Jailbreak your phone because several warranties and claims become ineffective after that. 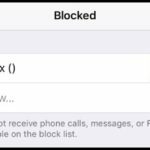 There is no obvious way to figure out if someone blocked your contact on their iPhone. You might have to take their phone to check that out – again, not a very good idea. However, if you hear the ring once, precisely and then you are diverted to voice mail, there are chances that someone has blocked you on their iPhone. I blocked a telemarketer but my VM box keeps becoming full because the calls still are able to leave VM- even though my phone doesn’t ring.